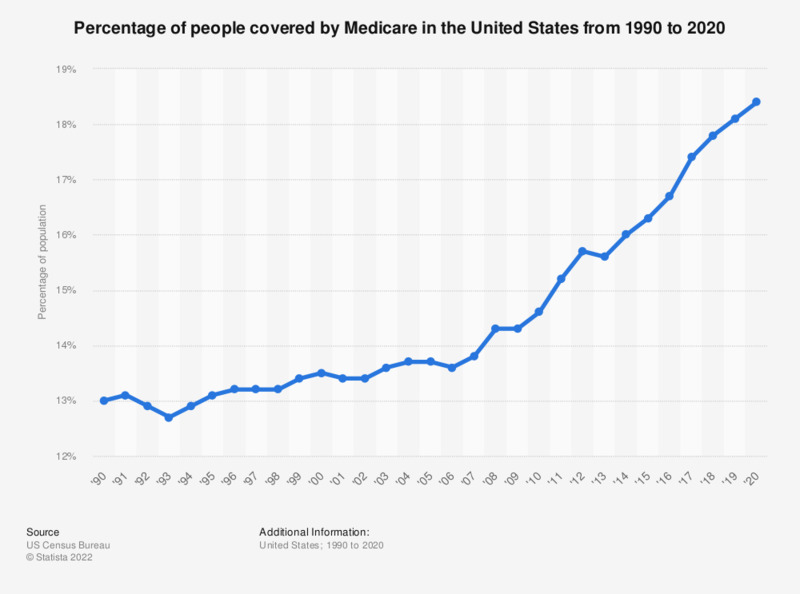 This statistic contains data on the percentage of U.S. Americans covered by Medicare from 1990 to 2017. In 2010, 14.6 percent of all people in the United States were covered by Medicare. By 2017, this share had increased to 17.2 percent.